Asus Zenfone 5Z VS Huawei Mate 20X: Too Good For $529? Home Phones ASUS Asus Zenfone 5Z VS Huawei Mate 20X: Too Good For $529? The Asus Zenfone 5Z is a flagship smartphone that was launched earlier this year. The phone comes in a notch design and it has a bigger screen display size as well. The Huawei Mate 20X is also a flagship phone as well. The device comes with a notch and a bigger screen size with a massive battery capacity on the inside. Both phones sport’s a premium body design. We will be comparing the Asus Zenfone 5Z with the Huawei Mate 20X in this post. The Asus Zenfone 5Z is built with an Aluminum Alloy material. The phone has a bezel-less display with a smooth panel as well. It measures 75.6 mm x 158 mm x 7.7 mm in dimensions and weight 155 gram. 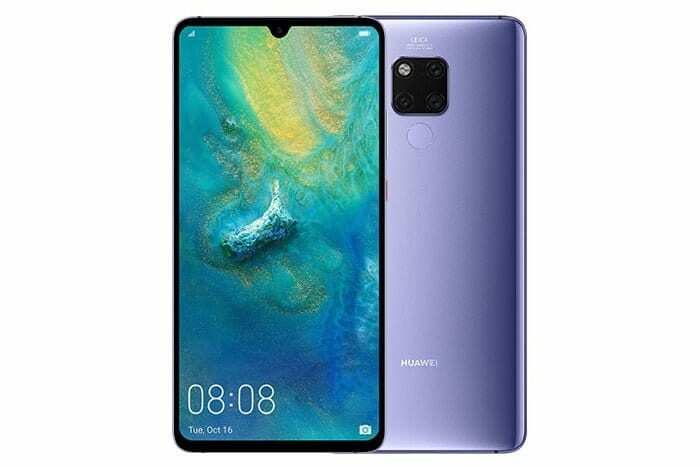 The Huawei Mate 20X is built with the combination of Aluminum Alloy and glass. The phone has both dust and water resistant. It measures 85.4 mm x 174.6 mm x 8.2 mm and weighs 232 gram. Both phones are available in Blue and Silver colors. The Asus Zenfone 5Z has a rear-mounted fingerprint scanner, while the Huawei Mate 20X has an onscreen fingerprint scanner for security. The Asus Zenfone 5Z has a screen display size of 6.2 inches under IPS, LCD capacitive touchscreen with a resolution of 1080 x 2246 Pixels and 402 PPI density, whereas the Huawei Mate 20X has a screen display size of 7.2 inches FHD+ under OLED capacitive touchscreen with a resolution of 1080 x 2240 Pixels and 345 PPI density. Both phones have a 2.5D curved glass with a display protection as well. The Asus Zenfone 5Z has 81.30% screen to body ratio, while the Huawei Mate 20X has 88.03% screen to body ratio. 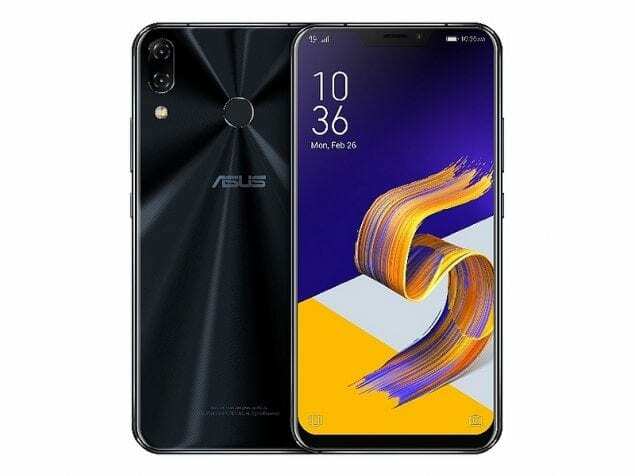 The Asus Zenfone 5Z has a dual rear camera of 12 Megapixels + 8 Megapixels with dual LED flash and a front facing camera of 20.2 Megapixels with OmniVision OV8856 PureCel Sensor, F2.0 Aperture, 83 Degree Wide Angle Lens, and Face Recognition features. Meanwhile, the Huawei Mate 20X features triple rear cameras set-up. The rear camera includes 40MP Wide + 20MP Ultra-wide + 8MP Telephoto with dual LED flash and a front facing camera of 24 Megapixels with f/2.0 Aperture, and CMOS BSI Sensor. The Huawei Mate 20X will take better photos than it’s rival. The Asus Zenfone 5Z has a Qualcomm Snapdragon 845 chipset with an octa-core clocking at a speed of 2.8GHz, while the Huawei Mate 20X has a Huawei HiSilicon Kirin 980 chipset with an octa-core processor that clocked at a speed of 2.6 GHz. On the memory, the Asus Zenfone 5Z is available in 4GB/6GB/8GB RAM with inbuilt storage of 64GB/128GB/256GB which is expandable, while the Huawei Mate 20X has 6GB/8GB RAM with internal memory of 128GB/256GB which is also expandable. The Asus Zenfone 5Z runs on Android 8.1 Oreo while the Huawei Mate 20X runs on Android 9.0 Pie operating system. Huawei Y7 Prime 2019 VS Asus Zenfone Max M2: Which One Has An Upper Hand? The Asus Zenfone 5Z has a nonremovable battery capacity of 3300 mAh with fast charging technology, while the Huawei Mate 20X has a nonremovable battery capacity of 5,000 mAh Fast battery charging 22.5W. The Asus Zenfone 5Z currently selling at a price of $529, while the Huawei Mate 20X will sell at a price of $1015. The Huawei Mate 20X will perform better than the Asus Zenfone 5Z. However, the Asus Zenfone 5Z is also a great and powerful phone as well. It’s more affordable than it’s rival, so it will make a better alternative.